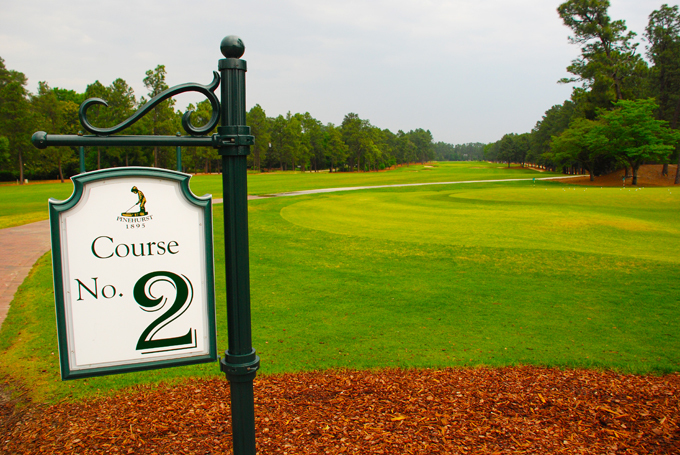 It’s the second major of the year and the revamped Donald Ross Pinehurst number two course looks in splendid condition, and I think we could be in for another classic weeks golf. 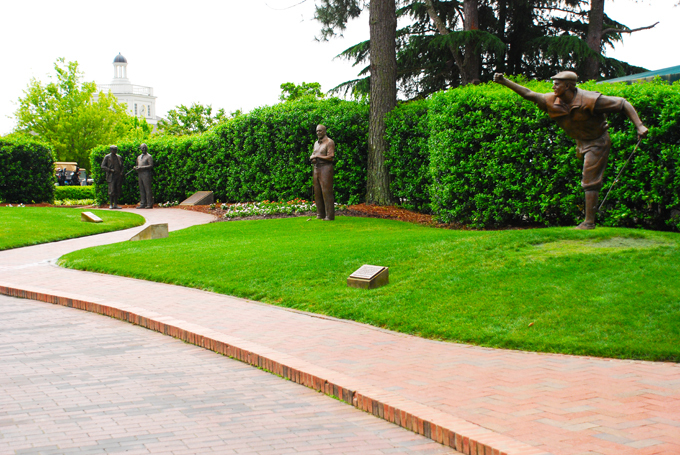 Who can forget that shoot-out between Phil Mickelson and Payne Stewart here back in 1999. Unfortunately Stewart’s untimely death means that we won’t see the lad from Springfield, Missouri here this week, only the statue erected in his honour. Donald J. Ross made the trip from Scotland to America in 1899, shortly after his arrival James W. Tufts – who was the visionary behind the Pinehurst Resort – commissioned Ross, who ended up staying on at Pinehurst for another 48 years! Ross, who had designed Royal Dornoch with their famed domed greens – which was soon to become his hallmark – became a big part of the famed Pinehurst No.2 course which opened for play in 1907, and has become the standard by which all other great golf courses around the world are judged. The greens are small and have fall-offs around the edges, and a vivid imagination is required to make sure you get down in two putts. But it’s not all about the greens, Pinehurst number 2 has to be one of the most finely balanced golf courses in the world, with the 5th, 9th and 16th holes taking most of the plaudits. Bill Coore and Ben Crenshaw were given the task of updating the No2 course in 2020 with a brief of taking it back to its 1940s design. And with aerial photographs to work from the guys have done a fantastic job, and with the TV coverage this week Pinehurst number 2 will once again take its rightful place back among the worlds top golf courses. 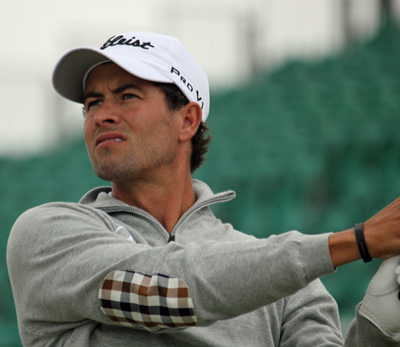 What can you say about Adam Scott 12/1, another win at the Crown Plaza Invitational cemented his world number one ranking, his game and schedule are all geared to the majors and he will be ready and will no doubt be in the thick of it come Sunday evening at Pinehurst. A Top 15 in defense of his Masters crown and finishing in the Top 5 of all last year’s Majors, except the US Open, a statistic he will be aching to put right. Will we be hearing the shouts of “Come on Aussie” on the 18th again come Sunday? The US Open trophy has probably become Phil Mickelson’s 14/1 “holy grail”, an obsession, his nemesis, perhaps all three – and will become the defining piece of silverware in his career. If he wins it he becomes one of the greatest golfers of all time, one that has won every major championship. If he never wins it, it will always go down as the one that eluded him. Phil’s golfing mentality is a big factor in this, he loves the risk and reward, getting up and down from the impossible and we all love him for it. But Open golf, both the British and the US take patience, fairways and greens, fairways and green, hole the odd putt along the way and minimise mistakes. 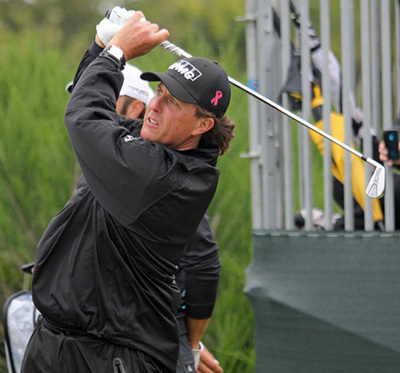 I hope Phil takes the mentality he did at Merion, and leaves the driver at home and plays strategic golf. If he does that, then history will show come Sunday night that Phil Mickelson is up there with the very best golfers in history. After watching Jason Dufner 40/1 lose on the third extra hole in a play-off to Adam Scott two weeks ago in the Crown Plaza Invitational I thought he could be a good bet this year for the US Open Championship. 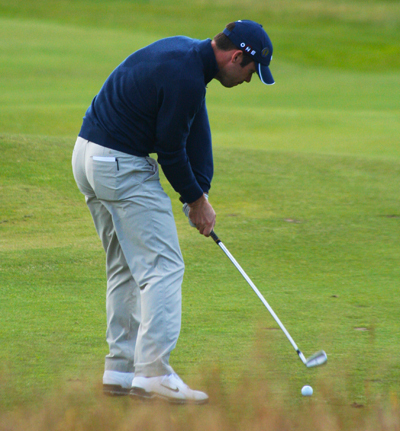 Jason has finished in the Top 5 in the last two US Opens and already knows how to not only win a major championship – PGA Championship 2013, but also be in a play-off for one – PGA Championship 2011 – and although his Achilles heel is his putting from 5 foot in, Jason has shown that he has what it takes to compete in Major championships. I tipped Webb Simpson 50/1 in a US Emagazine two weeks ago and he only strengthened his case with that final round 63 at last weeks FedEx St Jude Classic. It’s not many times you see a recent US Open winner at these odds but I think this represents great value and I was surprised to see Simpson this far down the betting line up. Webb has proven he can win this event on a tough track and they don’t come much tougher than San Francisco’s Olympic Club where Simpson won his US Open in 2011. 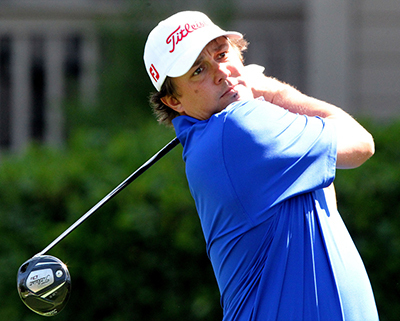 After a great start to the season the North Carolinian’s form has plummeted and he now has missed three cuts in his last six events, including the Players Championship. But playing in his home state in front of home fans and family watching, he will want to be in the thick of it come Sunday. Two golfers that have suddenly come into form are Ian Poulter 66/1 and Paul Casey 80/1 – it took 43 years for Justin Rose 25/1 to become the first Englishman since Tony Jacklin’s win in 1970 to pick up the US Open trophy – but that win could have a knock on affect, and must admit I am stuck between the two, but I am going to plummet for Casey because of his consistent form over the last couple of weeks. He did take a tumble down the leaderboard eight places with his final round 73 at the Memorial Tournament but still made the Top 15, and with his Top 25 at last weeks FedEx St Jude Classic making that his fifth in his last six events, it looks like the lad from Cheltenham has finally put all his injuries behind him. Another Top 5 finish for Joost Luiten 100/1 at last weekends Lyoness Open Powered by Greeninfinity, although he was leading going into the final day, so he may be disappointed with his last round 72. But I think the Dutchman has the game to do well here, he just needs to not attack too many flags on the first two days and keep himself in the tournament. If he can do that, then he could be a big threat come moving Saturday and at these odds I think he is worth a pound each-way.